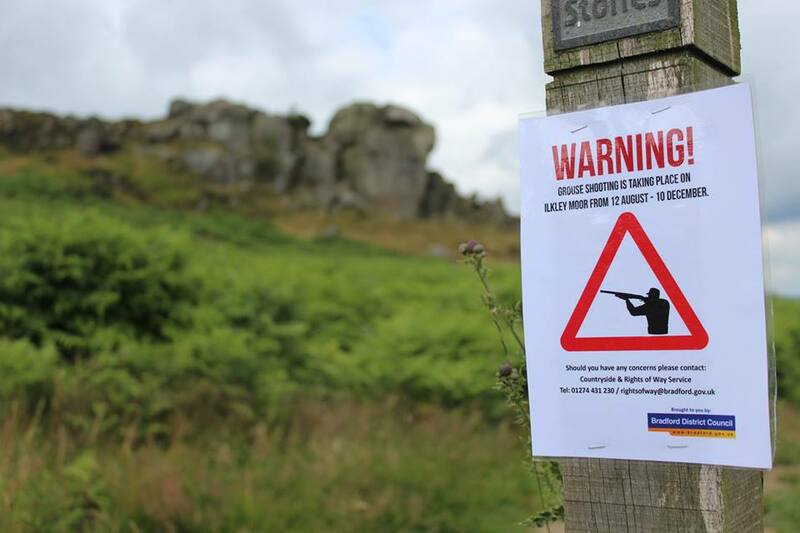 Grouse shooting could be stopped on Ilkley Moor as a result of an imminent decision by Bradford Council – with your help we can put an end to blood sports on public land. Bradford Council is the last local authority in the country to allow grouse shooting to take place on public land, but that could be about to change with your help. A decision is expected imminently on whether shooting rights for the renowned beauty spot Ilkley Moor will be renewed or terminated. Wildlife, habitat, users of the moor and the local economy have suffered substantially on the Council’s watch during the last ten years of grouse shooting. Not only have thousands of red grouse been shot down in the name of ‘sport’, but over half of notable breeding bird species such as merlin and dunlin have become locally extinct or drastically declined. Large areas of the moor have been deliberately burnt to increase game bird numbers for shooting, grouse butts have been constructed into sensitive blanket bog and native predators have been killed. You can make a difference. Ask Bradford Councillors to ensure grouse shooting rights for Ilkley Moor are not renewed. Click here for a sample letter. Breeding birds have become locally extinct or declined by as much as half on Ilkley Moor. Important habitat has been desecrated by burning to increase grouse numbers and the construction of shooting butts. Bradford Council is the last local authority to allow grouse shooting on public land after others, including Sheffield City Council and Peak District National Park Authority banned the blood sport on their upland estates.